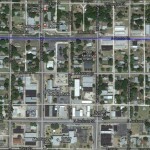 Iola Trails To Connect With Southwind Rail Trail, Emporia State Article On Rail-Trails, Marquette Pioneer Trail Dedication, Sunflower Santa Fe Trail Progress, Redbud Trail Update, and more trail news from Kansas! Dedication Of Marquette Pioneer Trail, Special Destination For Southwind Rail Trail Users, Update On Rail-Trails In Cherokee County, Kanza Annual Meeting To Be In Osage City, and more trail news from the Sunflower State. Kanza Awarded National Recreational Trails Grant, Kansas Built Environment Summit, Rail-Trail Proposed For Southeast Kansas, Sunflower Rail-Trails Conservancy Annual Meeting, and more trails news from the Sunflower state. 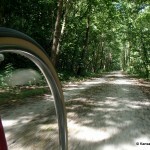 The Kansas Department of Wildlife, Parks and Tourism has announced that Kansas will be back in the Federal Recreational Trails Program for Federal Fiscal Year 2013, after having opted out of the previous years funding. 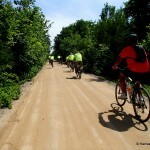 Great Plains Trail, Kansas Rail-Trails Plan Completed, Kansas And Missouri Now Connected By Trails, Built Environment And The Outdoors Summit, Sunflower Foundation Trails Grants, and more trails news from the Sunflower state. 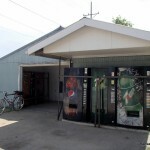 Riders on the Flint Hills Nature Trail can take a break at the vending machines in Rantoul, Kansas﻿. It's a nice amenity for a portion of the trail with no other services. $2.4 Million To Be Invested In Flint Hills Trail, $25,000 Grant For Landon Trail, Linking Flint Hills Trail With Katy Trail, Interest Building In Completing Landon Trail, Osawatomie To Railbank Rail Corridor, and more great trail news from the Sunflower State! The city of Iola is planning to use a Transportation Enhancement grant to fund the development of a short rail-to-trail conversion project to connect with the Prairie Spirit Trail. The Kansas Department of Transportation has selected 35 projects for funding through the federal Transportation Enhancements program. The list include bicycling-related projects in 17 Kansas communities.